Imagine a totally different cinema experience. A friendly, human size cinema with comfortable theatres. 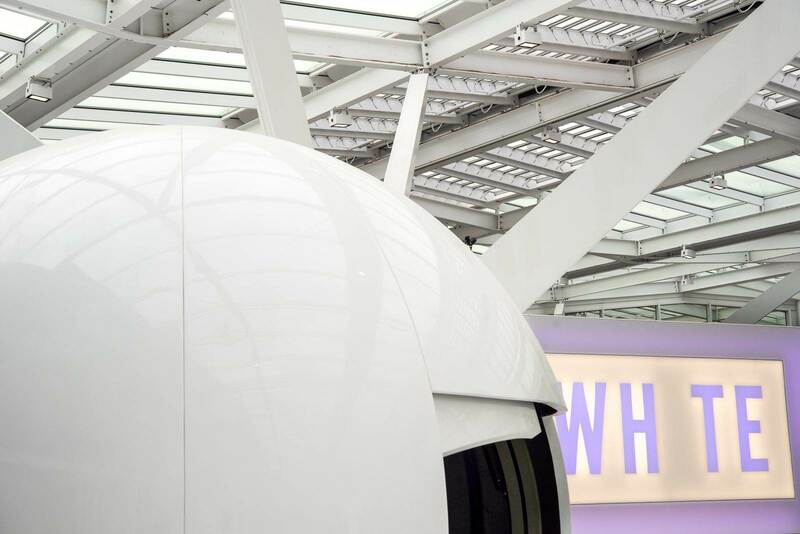 Everywhere is white for a unique experience in an extraordinary design. An area entirely dedicated to quality entertainment. A qualitative and varied programme, cosy comfort, trendy bar, personalised welcome: everything has been designed for your pleasure. To such an extent that you could spend hours there before and after the show! Now, stop imagining and come and discover the White Cinema. A redefined cinema just for you. 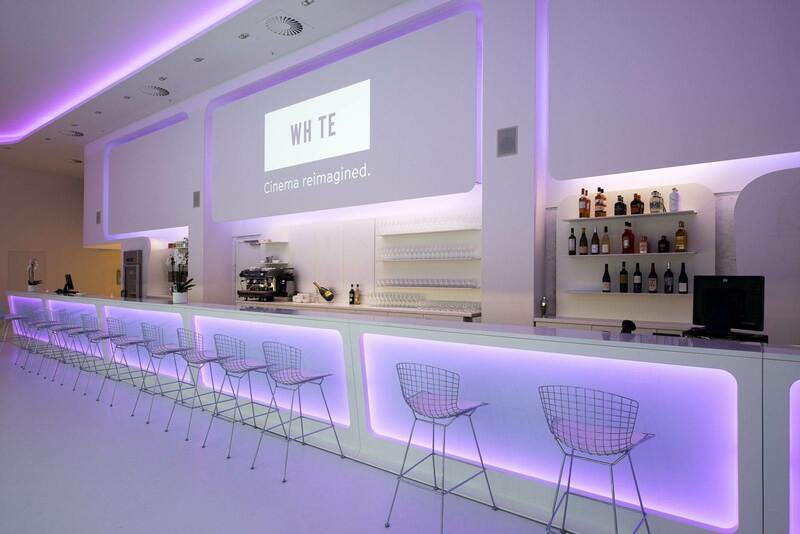 Designed for enthusiasts by enthusiasts, the White Cinema makes you experience the movies as you have always dreamed. With eight lovely theatres that will make you feel at home. With knowledgeable staff, who not only welcome you but also share their expert advice. Digital technology is present to make life easier and more practical whilst remaining discreet and pleasant. The bright atmosphere is both soothing and fun. The dining area is a reminder that Brussels is right there, at your feet. All of this is what we call the white spirit!